GLOW turned out to be THE party of the weekend! 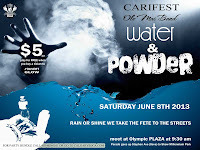 For Carifest 2013, CalgarySoca brought the vibe to a new space, and offerd patrons 2 ROOMS of music. 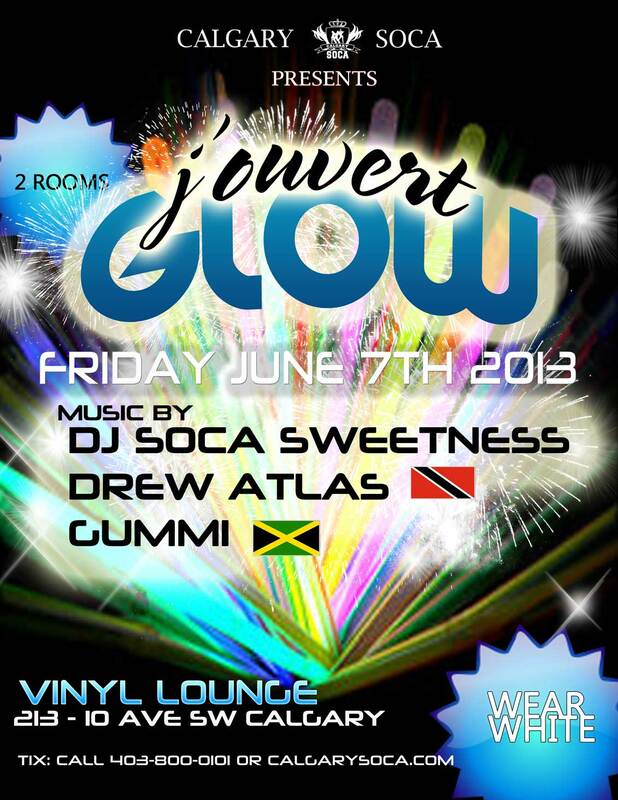 The J'ouvert GLOW experience at Vinyl Dance Lounge (213 10Ave SW, Calgary) on Friday June 7th 2013 featured the return of Toronto's DJ Soca Sweetness, alongside CalgarySoca's own Drew Atlas. This was without question, our biggest fete to date with over 500 Soca and Reggae lovers in attendance. 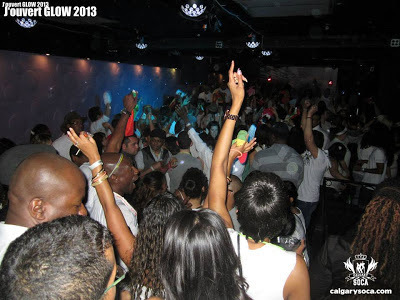 J'ouvert GLOW was a WEAR ALL WHITE event and was the warm-up for CalgarySoca's first ever Old Mas Band that hit the streets for Carifest 2013! Thank you to all who supported both of our efforts for this year's festival. We hope to bring you an even better experience in 2014. If you missed it, check out the pictures on our Facebook album. Up next our Stampede 'Day Fete!' See you there.